Note: When using beads you need to thread the beads onto the thread before you begin. After threading the beads onto the thread wind the thread around your finger about 7 times. Slip off your finger. Round 1: Work 40dc into the ring. ss to the first chain. Round 2: 1ch, 1dc into each dc to the end, ss to first ch. Round 3: as round 2. Round 4: *5ch, miss 1dc, 1dc into next dc, rep from *to end, working last dc into ss at end of round 3. Loops at the bottom: *2ch, slip a bead into place and 1 ch, 3 ch miss 1 ch on wheel ss into next, repeat from* until 4 loops are made. Cast off. 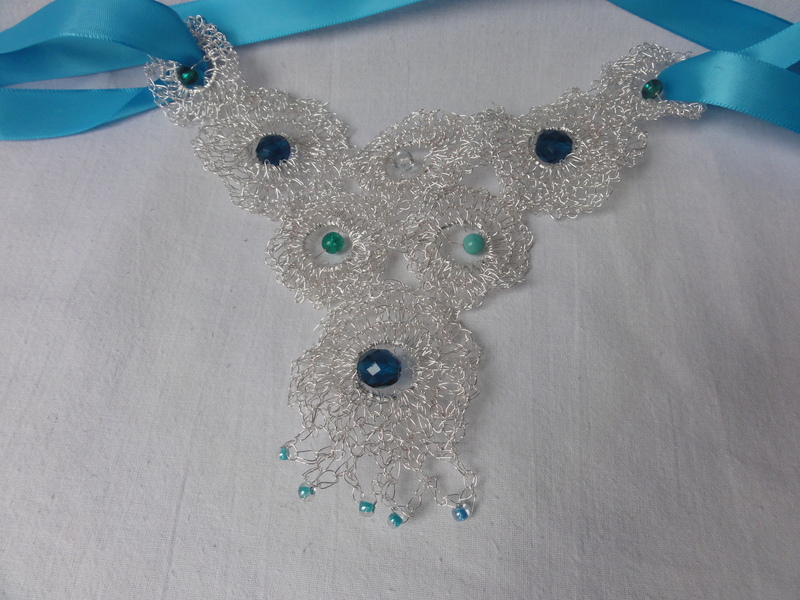 You can alter the size using different sized hooks or different thickness of wire/yarn. The necklace I made used wire 3.2 mm thick. 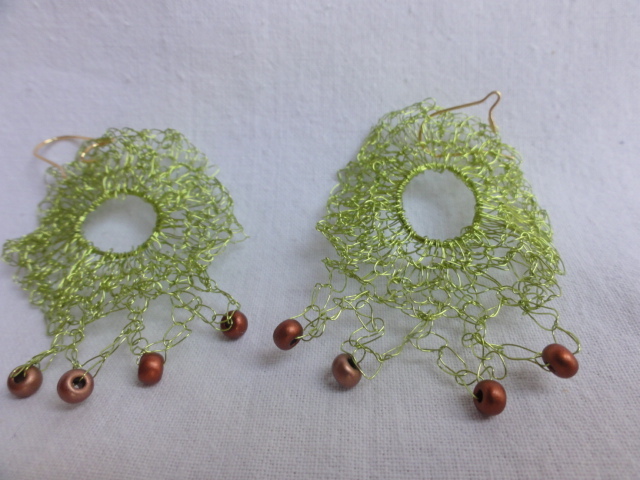 These are really beutiful..Have never tried crocheting jewelry, but these make me want to try! Thank you. It is not at all difficult.